Suddenly, you wake up in the back of a car. You don’t know why you are there and you feel a bit disoriented, the driver drives calmly. You are wearing a dark suit. If this is a kidnap, it’s certainly a really weird one. Five minutes later the car stops at a mausoleum. The driver opens your door and you ask him where the hell are you, he just smiles at you and points inside the mausoleum. There are trees, green grass and people dressed in black talking and walking inside. Now you are curious about what this is all about. You get down the car, feel the breeze on your cheeks, a bit of cold, and the tightness of your black tie, you loosen it up a bit and start walking inside. This is definitely a funeral, you can hear a young girl weeping silently beside you. Inside, members of your family and friends surround you but nobody notices you are there, you yell and everyone seems oblivious to your screams, what the hell is happening, you hurry to get to the coffin to see whose funeral this is and as you push the people around the coffin, you realize to your dismay, that the person inside the coffin is you. You are already dead and nobody seems to notice that you are standing there, watching your cold and motionless body. It seems, that the gods granted you the gift of watching your last appearance on earth. The procession begins and you sit there, watching your family, your friends and the people who knew you. The time for the speeches come and a member of your family goes up. What does he say? What are his memories with you? Are they happy? Is he glad he was your kin? What do they say? How do you feel? Are you happy? Are you proud? Ah, the magic of Memento Mori. To put things in perspective, to sweep away what isn’t important and to give place to what really matters, what really matters in the end at least. Death is always near, always walking, sleeping, always at our side but we keep forgetting. You are always choosing. Even when you think you aren’t choosing, you are choosing not to choose. Many times, most of the time, you don’t even choose for yourself but you are letting something or someone choose for you. Ignorant, ignorant of your power, you let yourself be guided by other people’s agendas, blind to the opportunities and the possibilities presented for you. Every time you neglect a good opportunity, you incur in a cost, opportunity cost. By letting the things that are not under your control choose for you. For example, Facebook or Instagram. Imagine you’ve arrived at your house after a long and arduous day of work, you don’t even think about having dinner, you feed the dog, put pajamas on and get straight down to bed. There are two things on your bedside table, a book you’ve been reading for a month that will make you fall asleep in 10 minutes top, and your phone. You grab your phone and open Instagram, just for a while (you say to yourself), 1 hour later you are still awake scrolling down the endless flow of pictures and memes. The next day you are tired and cranky and find yourself cursing damn Instagram as you open it again. That right there is slavishness. The decision was made not by what is best for you but by the instant gratification you got out of your phone. That decision has a big opportunity cost as well, the opportunity cost was your proper rest, happiness and productivity for the next day. All that in the simple and non-threatening choice of scrolling down on Instagram, just for a while before sleeping. When you choose to do something, you have to be aware that you are spending your most valuable asset, time. We don’t think of time as an asset and that is wrong, very very wrong. Your life is composed of moments, millions of them. Each and every moment you have control over how you are going to respond to what you are doing, to what happens to you and your dispositions towards it. The better the choices you make at each moment, the higher the probabilities that you will find yourself smiling at the end, at your funeral. Making choices, the right ones. It’s easier to make bad choices than right choices. At the moment it’s easier to “go with the flow” and let tiredness or laziness or feeling, in general, decide whether you finish your job or not, whether you grasp opportunity, whether you open facebook or a book, whether you go out with your friends and socialize or stay watching Game of Thrones for the 5th time. It’s easier to fall into slavish choices because they seem to be more palpable in comparison to the better choices which seem far away in the future. Nevertheless, you have to become aware of the opportunity cost at the moment, the opportunities are presented alongside the slavish choices every time, but conscious effort is needed, otherwise, you’ll become blind to them. Your awareness of the opportunities determines how much of your life is really under your control. A true stoic is aware of the costs of his choices and so makes his decisions accordingly. Therefore, learning to ask yourself about the opportunity cost of your decisions becomes paramountly important. Once the decision to make informed choices is made, a universe of possibilities will open. A universe you were blind to before. Open your eyes and see. There is no other place or time where you can make choices or anything else. Just right here, right now. The power to figure out the best course of action is under your full control right now. Not in the past, not in the future, but right now. It might seem that the little choices in life don’t matter much compared with the years you are going to live. But in reality, they do, first, because you don’t know when you are going to die, it could be tomorrow or in an hour. Second, because every single choice you make determines everything in your life, it’s all connected. The sad thing would be to be at your funeral and know that you had the power, in your hands, and you chose not to take it, letting slavishness take control and choose to be dead long before your funeral. Don’t let that happen. Think about how much time is wasted in pettiness, all that time could be used investing in a great life and gratitude instead. Choose the path of greatness. Choose to see opportunity, open yourself up towards possibility. There is where true control is, in your choices. As I woke up today and began meditating I noticed that my thoughts were pretty revolved, like a wild sea. I was thinking about so many things at the same time, like my job, my life, the things I did and did not yesterday, all the things I wanted to get done for the day until eventually, it started to quiet down a bit, it always does. After the meditation session was over I started to write all the things that needed to get done and I realized that I was in a kind of rush still, writing quickly and trying to get to work as fast as possible. I was and still am in this moment in a bit of a rush. I opened my email and gladly saw I received the Daily Stoic email, and call it fortune but the advice of today was precisely what I needed. The title: “Live a full life, not a fast life”. I read that email gladly. It said that Memento mori (remember you are going to die), is misunderstood. It can make you act with recklessness and as a libertine, as in movies when an asteroid is about to hit the earth. This is not what the Stoics meant. 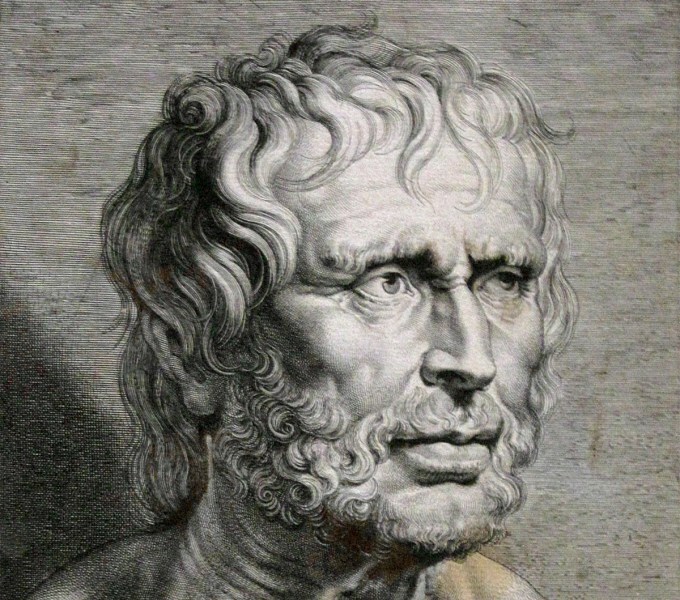 What Seneca said was to live each day as if it were your whole life. Do not grab each day as if it were your last one, but, grab each day as if it could be your last one. Live each day fully, as if that day is your whole life. Now, this is more relatable. Make each day a mighty day, be the character you’ve always aspired to be and when you get to sleep, if you make it, be proud to call the day. To achieve this, you have to live now, above time, as Emerson would say. No activity is meaningless as you make it from the right character and with courage, hell, enjoy your life, now. I have to say, I feel so much better now. I write with ease and am grateful for this new light and day. I’ll leave you with this passage which has helped me before and I hope will do you good now. until he too lives with nature in the present, above time.